Can Industrial Modular Buildings Be a Practical Investment? Growth is an important part of owning a business. One of the issues that many industrial business owners face is space and getting the buildings that they need to be successful. If the business expands too quickly, you may find yourself without the warehouse or factory space you need to effectively produce. This hinders your business growth and may be a difficult hurdle to get around. One solution that works well is industrial modular buildings, which can cut expansion costs significantly. The best available metal buildings online have many purposes, but their defining feature is their ability to move. The structures can be several stories high, but the modular buildings can still be moved across the country if they need to be. They are inexpensive to produce and their easy movement allows you to place them where they are needed most. In fact, modular building systems are replacing traditional buildings in many different industries. Learn more how you can save time and money by investing in metal modular buildings for your company. One of the biggest reasons modular buildings are gaining popularity is their ability to help you get the most out of the space you already have. They can easily be placed in a parking lot or empty field. They can even attach to your main building, helping you gain vertical space. This helps you to get the most out of the space you have, rather than forcing you to expand your real estate. Another popular benefit of the best Panel Built buildings online is their ability to be fully customized. Full customization allows you to get the most out of the modular buildings for sale that you find. Their customization level is very similar to that of a traditional building. For example, painted vinyl-covered gypsum siding, doors and windows can make the modular building look just like a tiny house. The metal modular buildings only have one key difference and that’s their dependence on metal and off-site manufacturing. Each building is crafted by industry professionals at Panel Built, rather than a construction crew coming to your location. This makes the entire building process significantly easier and helps you get your building quickly, even if the design is complex. Growing your business is a difficult task and you shouldn’t have to overcomplicate it by worrying about space. Modular buildings can be an excellent way to ensure that you have the space you need to be functional and grow. With a wide variety of designs available, it is easy to find something that suits your needs. If you are unsure how to make your business more efficient, contact a Panel Built representative. The representatives are full of ideas and with their level of experience, you can easily get an affordable building that exceeds your expectations. The sky is truly the limit when you work with the best companies that sell prefabricated modular buildings. If you have custom building needs, contact Panel Built right away to discuss them with a representative. You will be surprised by just how affordable a large, custom building can become! Unlike traditional buildings, prefabricated modular buildings do not require an on-site construction crew. Instead, they are assembled at Panel Built and then shipped to your location. This significantly speeds up the building process and allows you to get the modular space you need as quickly as possible. While there are still a wide range of customization options available, it is important to remember that the building can be delivered in as little as three days. Complex designs can take a few weeks, but this is still a significant decrease compared to that of traditional construction. The goal of finding cheap modular buildings for sale online shouldn’t just be to save money. These modular buildings are a great way to get the space you need so that your industrial operation can function. There are many different industrial modular buildings online for sale, but they cannot compare to the level of experience that Panel Built can bring to the table. A Panel Built metal building has a lot to offer an industrial business, but only if it is built with integrity and care. Metal buildings by Panel Built tend to stand out because of the high quality materials and attention to detail given to the design. If you are still wondering where to find metal buildings for sale, contact an experienced building company like Panel Built. 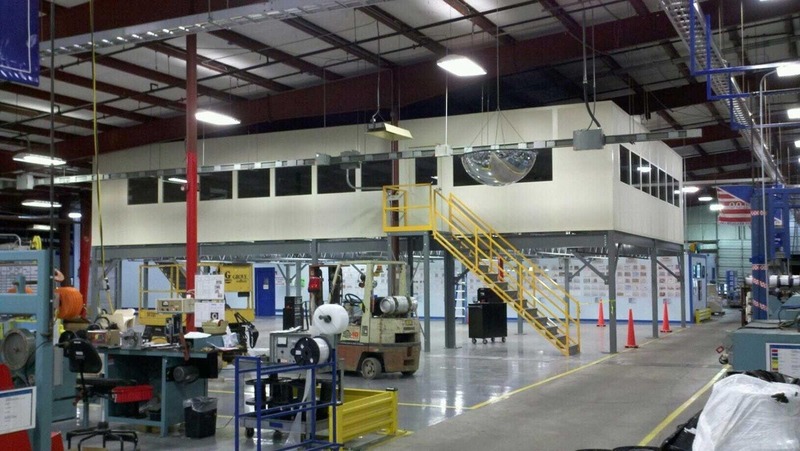 A modular building system could be the easiest way to help your industrial business expand. Whether you need cheap warehouse space or want to add a few external offices to your existing building, Panel Built can help. To learn more about modular buildings for sale and how they are made, contact Panel Built today. A representative will be happy to give you the personalized attention that you need to make a decision. Your business is important and you deserve to have the functional space you need to be successful. Contact Panel Built today!